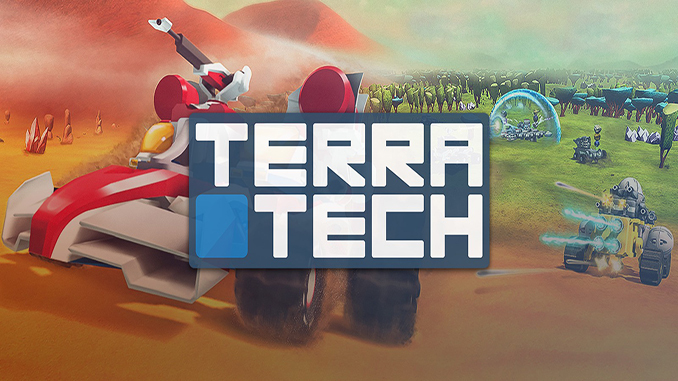 In TerraTech you design, construct and command a fleet of unique vehicles, as you battle your way to victory across the lawless frontiers of new alien worlds, in a quest for glory and profit. In the distant future, Earth’s natural resources have been depleted, and as an off-world prospector it’s your job to travel to alien planets and scour them for valuable materials. These can be refined and shipped back to Earth in return for cash, or crafted into new components to augment your fleet. The rarest resources unlock the best equipment, so expand your territory and capture enemy bases, to secure your position on each planet. Build crazy vehicles out of modular blocks! Hunt down enemies, shoot parts off them and scavenge the remains, to make your vehicle harder, better, stronger and faster. Build anything you can imagine! Heavy battle tanks? Yes. Fast scout vehicles? Indeed. Flying carpet bombers? Why not? Simply drag and snap new blocks onto your creation, and get straight back into the fray! – Drag-and-drop building and scavenging of blocks. – Ability to build land vehicles, fixed turrets, hovercraft, rockets and aeroplanes. – Modular refining/crafting system using special production blocks. In TerraTech you design, construct and command a fleet of unique vehicles, as you battle your way to victory across the lawless frontiers of new alien worlds, in a quest for glory and profit. In the distant future, Earth’s natural resources have been depleted, and as an off-world prospector it’s your job to travel to alien planets and scour them for valuable materials. The available download link is the latest we can find. and if it becomes available we will post it. Thanks for dropping by and welcome. have you not updated this to the full version? which is v1.0? it’s really really annoying, and I can’t enjoy DC universe online fully for just that limitation for free players. Any errors occurred during installation? Okay its been a month from when the last person asked this but… When are you planning to update it to version 1 and if you cant how could I?